Here at the Iguana Research and Breeding Station the volunteers have been hard, hard at work. 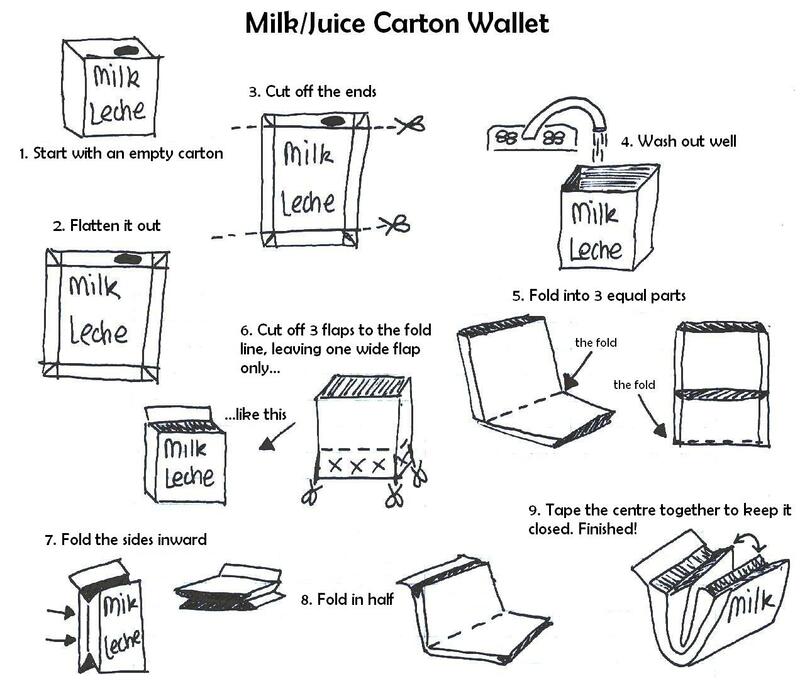 They have been pushing boundaries, expanding horizons and exploring endless possibilities…all in the search of THE PERFECT MILK CARTON WALLET. All part of our recycling with schools scheme. Carla has kindly drawn up this step-by-step diagram for anyone who wishes to have a go. It’s well worth it. ~ by iguana123 on April 1, 2011.